Carpets are the stuff which make the homes cozy and add class to the decoration. But it requires a lot of maintenance and for people spending most of their time in offices the task never gets easy. Magic Carpet Cleaning in Arnos Grove (N11) is facilitated greatly by our company, which is a popular brand in London and deals with making the rugs and carpets of homes and offices clean and beautiful. The trained technicians are always equipped with high quality cleansing agents of different varieties to remove stains from any kind of fabric. The use of water claw technique on the carpets removes the pet stains and also treats the foul smell with different solutions. 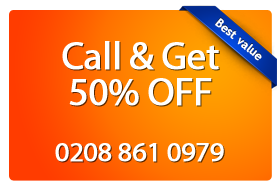 Magic Carpet Cleaning in Arnos Grove (N11) provides free trails and also has special offers for the customers all in affordable prices. Our London carpet cleaning services will give a magical touch to the carpets and restore their beauty.